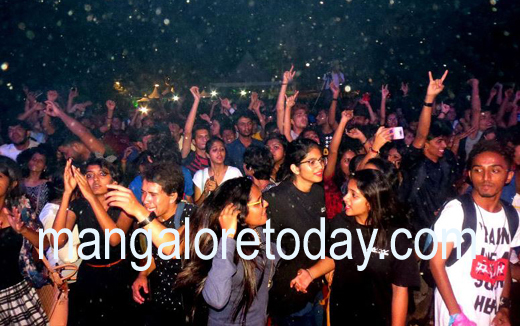 Mangalore, Jan 21: St. Aloysius College, Mangalore’s pre-eminent 137 year old educational institution hosted a musical concert on the 7th of January 2017, unlike anything else witnessed by this region. 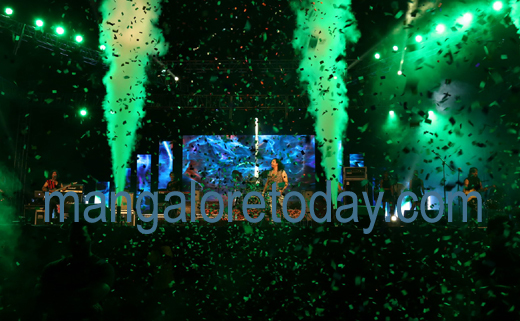 Put simply – it was a first for Mangalore and what a spectacular first it was! The event was organized by ex-Aloysians from all across the globe to celebrate the achievements of their alumni spanning well over a century, and to mark their many contribution to various spectrums of society. 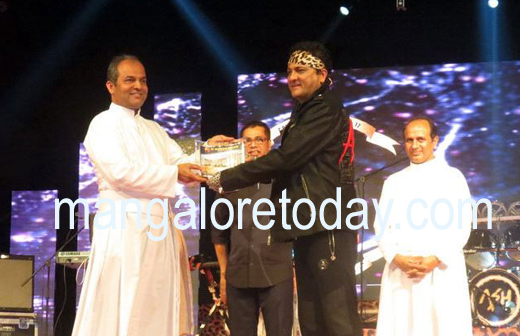 “Concert 4 St. Aloysius ‘17” was held within St. Aloysius’s historic centenary campus grounds, in support of the institution’s underprivileged students. 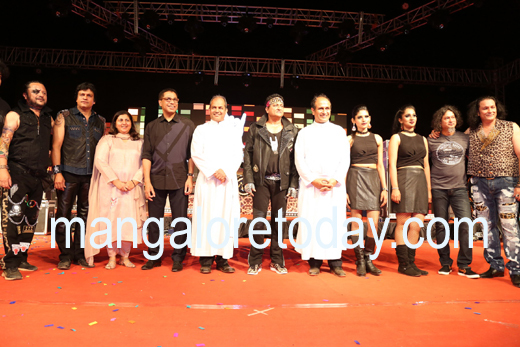 The evening of “Peace, Love and Music” started out with live performances by present SAC college students who performed renditions of various rock, pop and ethnic music, which was followed by SAC Rock Revival who performed a masterful medley of various rock hits. 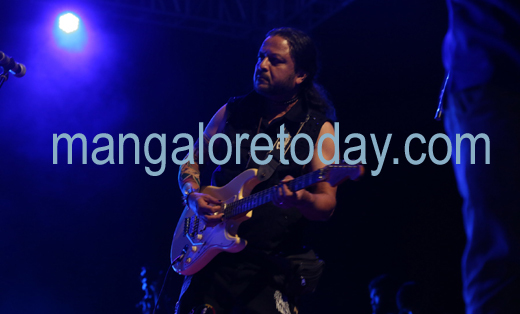 Guru Kiran added his own signature ethnic musical flare to this unique concert, all to rapturous applause from the audience. 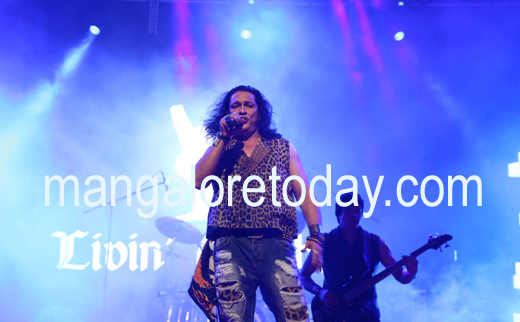 The act that truly stole the show was Mangalore’s iconic Rock / Metal Band from the 80s – Livin’ Machine who belted out a series of rock anthems that drove everyone ecstatic. 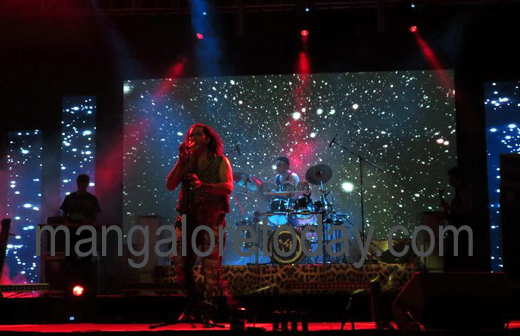 Their performance was a true masterclass, with high production value, that could hold its own on the international rock scene, punctuated with heart stopping pyrotechnics, a mesmerizing array of lights and backdrop video visuals to match the ambience of each track. 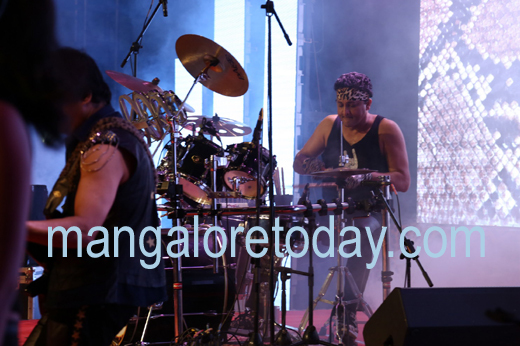 The band’s lead singer Peter Mehta and drummer Ashraf, along with the remaining band members enthralled the huge 3000 plus crowd, for the entire duration of their 45 minute performance. 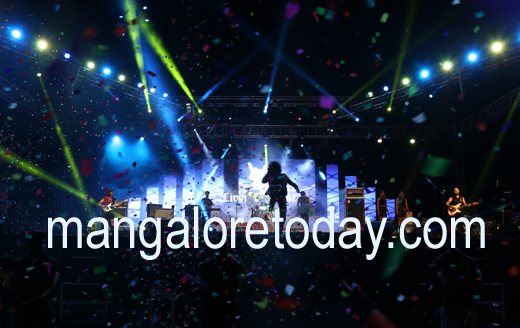 Concert 4 St. Aloysius ’17 was sponsored by Thumbay Group UAE – leading healthcare providers; KEF Infra – the world’s largest integrated facility for offsite construction; and South India’s multifaceted conglomerate The Yenepoya Group.